That seems to be my motto lately! I'm not quite sure what's going on, but I have this strong urge to organize everything in my life. I just feel the need to purge, simplify, and organize. I'm a big fan of inexpensive organization methods. I would much rather spend our money on doing things with our kids instead of spending it on elaborate organization projects. I love it when I can pull off an idea at a minimal cost! 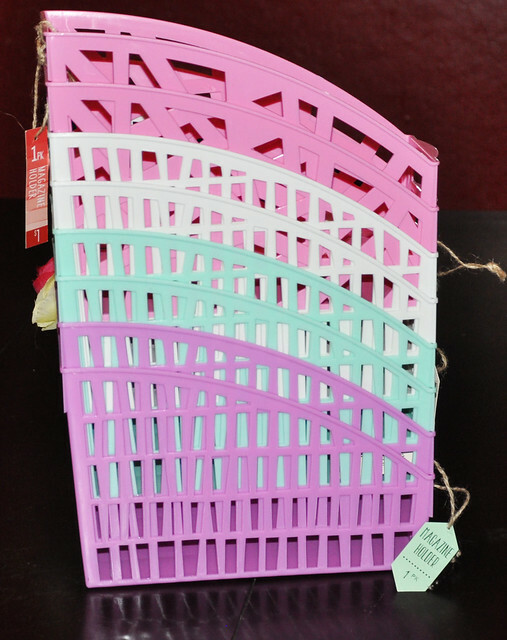 I recently found magazine holders in the Target Dollar Spot (my favorite place! ), and I bought 8 of them, because they were only 50 cents each. I knew I wasn't going to use them for magazines. I had a much better idea! 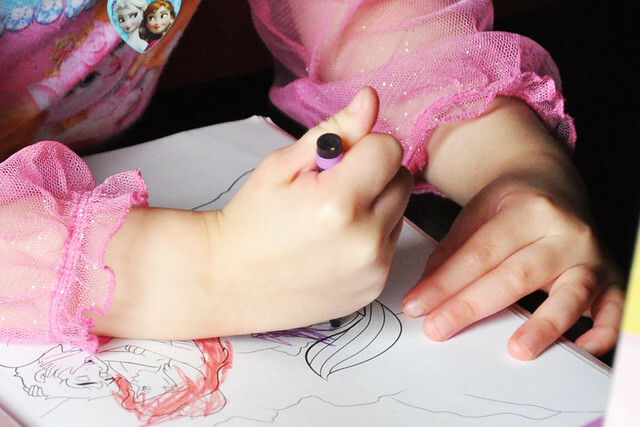 My kids always get coloring books from friends and relatives for every holiday and birthday. As you can imagine, we've acquired quite the stash. Unfortunately, we didn't have anywhere to put them, so I kept them stacked up on a closet shelf for years. The stack just kept growing and growing and growing. They weren't getting used because they weren't easily accessible. 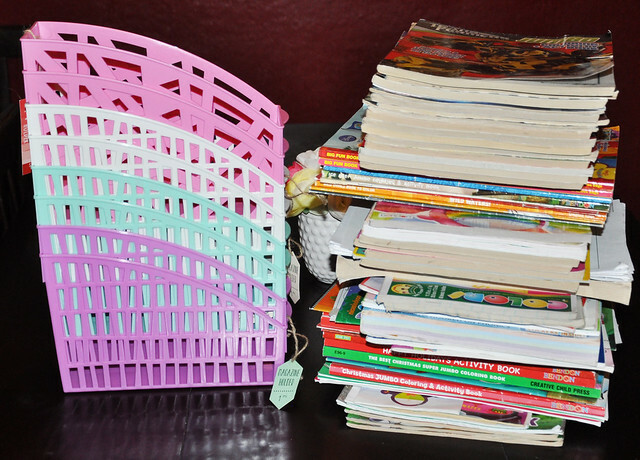 As soon as I bought those magazine holders, I decided to tackle our insanely large collection of coloring books, activity books, and workbooks. 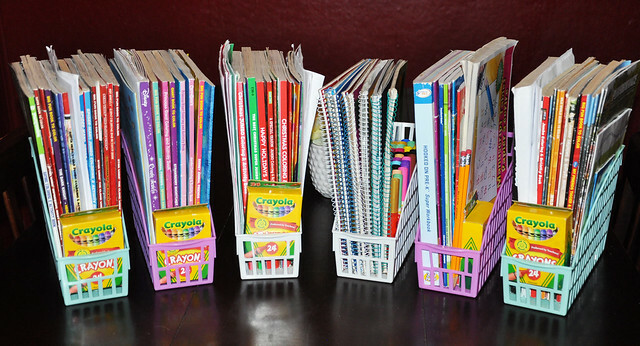 I separated everything into 6 different stacks: coloring books for girls, coloring books for boys, gender neutral coloring books, holiday coloring books, Crayola Color Wonder books, and Pre-K/Kindergarten workbooks and learning materials. After everything was separated, I pulled out a bunch to donate. Each stack was placed into its own magazine holder. 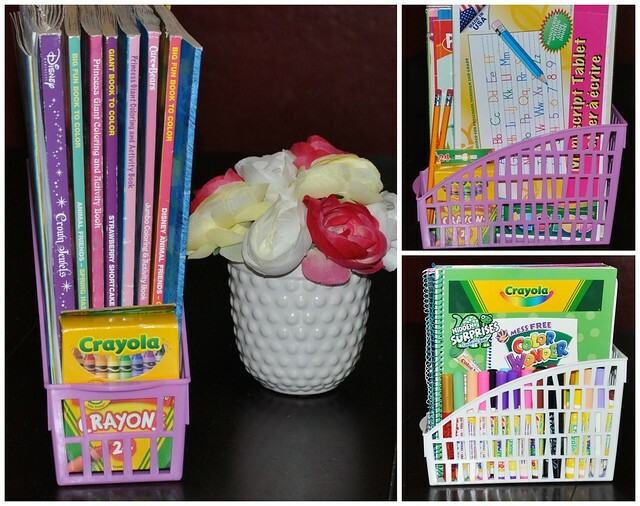 I added a box of crayons to each coloring book holder, added crayons and pencils to the workbook holder, and added Color Wonder markers to the Color Wonder coloring book holder. I wanted everything to be easily accessible for the kids! It only took 10 minutes of my time, and I only spent $3 on the project! It worked out perfectly! I ended up putting one holder on a bookshelf in the boys' room, and one holder on a bookshelf in the girls' room. Two holders made their way downstairs to our art table, and two holders found a new home on a low shelf that holds puzzles and activity packs. This morning, Lily immediately discovered them! 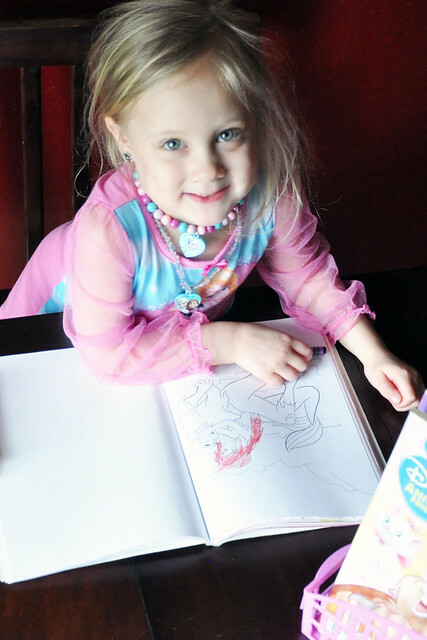 She loves to draw, paint, and play with playdoh, but she hasn't used the coloring books in months. Today, she colored for an hour and a half! 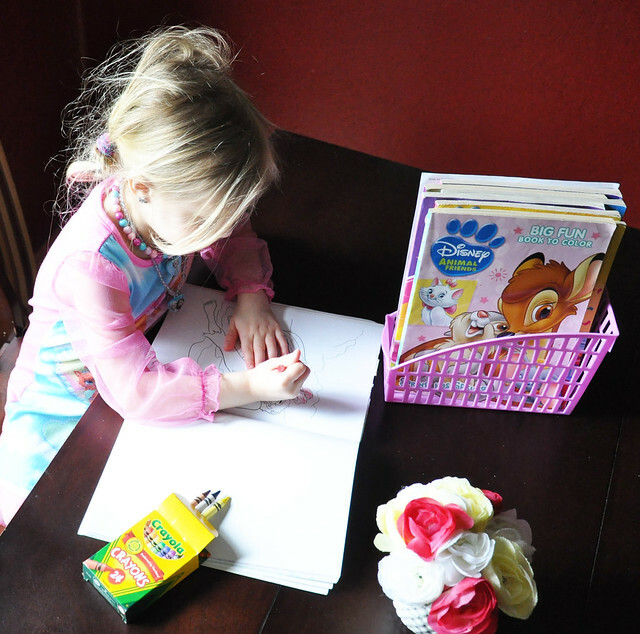 When she was done, she cleaned everything up, put the books and crayons back in the holder, and put the holder back on the shelf. Lexie repeated the process when she came home from school, and Lily joined in again. It worked out exactly as I hoped it would! Thank you! I love the Target Dollar Spot! What a great organizational tip! Our coloring book shelf is a disaster, and I think we actually do have some magazine holders lying around. I am totally going to try this! Thanks! Our holders are still intact and being used, so I'm calling it a success! Yes, I agree. Project Success! I have to remember this idea. 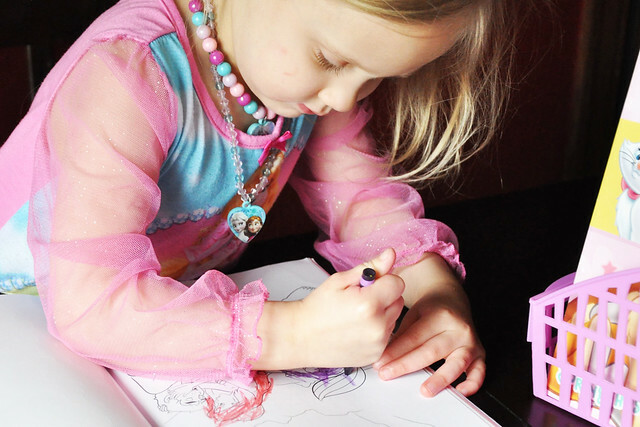 We have the same problem with an excess of activity and coloring books here too! I swear, they multiply overnight!